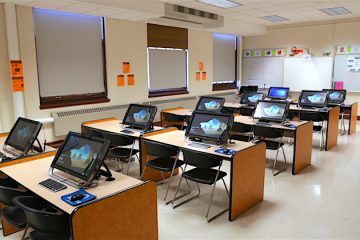 zSpace is an all-in-one computer that provides hands-on learning and delivers mixed reality learning experiences. Using augmented and virtual reality, zSpace encourages the user to explore and experiment in a new way. 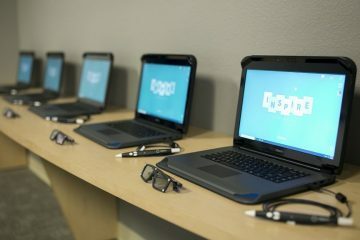 While it has been popular in K-12 education, businesses are starting to realize that zSpace has potential beyond the education field. 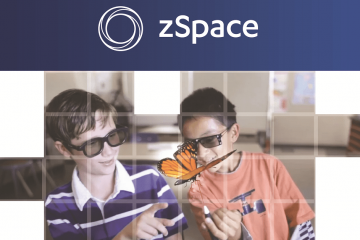 zSpace offers endless opportunities with a wide variety of subject areas: human anatomy, life science, physical science, engineering design, earth & space science, mathematics, history & geography, and the arts. zSpace offers training and hands-on preparation for complex experiences, which reduces danger and cost. People who work in high-risk conditions, from pilots to surgeons, can safely receive training without fear of accidental harm. This type of controlled failure helps users build confidence and the needed skills for their profession. Learning through virtual reality provides a powerful opportunity for users to engage in potentially hazardous training situations with no repercussions to live specimens, patients, or to the user. Many healthcare organizations are already using virtual reality, especially when preparing for surgery. With the help of software, medical professionals can transform CT scans into virtual 3D interactive objects and organs, allowing them to view, interpret, and dissect interactive virtual-reality images of patient-specific anatomy. This allows them to understand a patient’s anatomy and know what to expect before making a single incisions. By using virtual reality, medical professionals can interact with virtual patient tissue and create cross sections in any plane for better visualization and measurements. Doctors can even use this technology while in the operating room. In addition to surgery, doctors are using virtual reality for colonoscopies and other types of training. The goal is to intuitively understand and interact with anatomy to improve patient care. 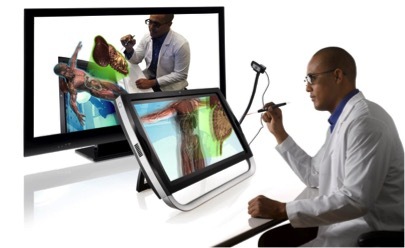 Curious if zSpace could benefit your organization or business? Give the experts at RTI a call! We can help take your organization to the next level by providing zSpace solutions including hardware, software, training, and more.